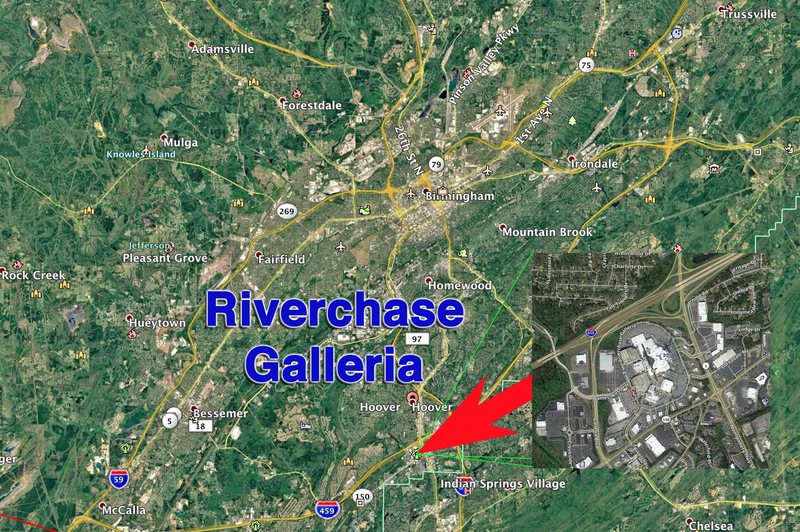 “Thursday, Nov. 22, 2018, at 9:52 p.m., two males engaged in a physical altercation on the second floor concourse area of the Riverchase Galleria near the entrance to Footaction. During the fight, one of the males produced a handgun and shot the other male twice in the torso. Because Black men are a “threat” – especially young Black men. Only problem is, turns out, the dead man wasn’t the shooter. Hoover, AL Police Department issued a revised Press Release on their Twitter account following the deadly shooting in which they shot the wrong suspect. Now, Hoover PD is having to “backtrack” their earlier rush to judgment. “The 18-year-old victim was indeed shot and transported to UAB Hospital, where he remains today. “The 21-year-old male who was fleeing the shooting scene was brandishing a handgun, was engaged, shot and killed by a uniformed Hoover police officer. 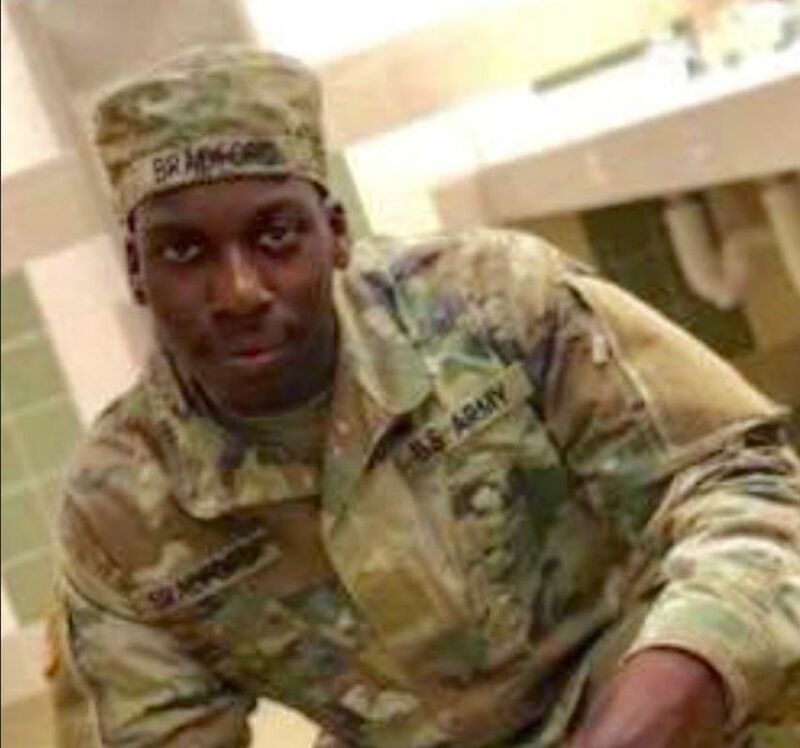 The 21-year-old has now been identified as Emantic Fitzgerald Bradford, from Hueytown, Alabama. “Over the past 20 hours, Jefferson County Sheriff’s Office investigators and crime scene technicians have interviewed numerous individuals and examined several critical evidentiary items. “New evidence now suggests that while Mr. Bradford may have been involved in some aspect of the altercation, he likely did not fire the rounds that injured the 18-year-old victim. “Investigators now believe that more than two individuals were involved in the initial altercation. This information indicates that there is at least one gunman still at-large, who would be responsible for the shooting of the 18-year-old male, and 12-year-old female. We killed the wrong Black Man With A Gun. Maybe we’ll have better luck next time. Because, you know… a Black Man With A Gun is an automatic criminal, a genuine threat. And he ain’t coming back. A 12-year-old child was injured by a stray bullet, taken to surgery, and is recovering well, according to a FaceBook post by the girl’s mother. Please, someone, anyone… Make Alabama Great Again. If anything needed to be made great again, it’s Alabama. That place IS a stinking, corrupted Hell-hole. One only need give a cursory glance at the numerous State and Federal indictments, trials, guilty pleas, findings of guilt after trial of numerous state government officials to see it. Oh… and they’re 99.995% GOP. This entry was posted on Sunday, November 25, 2018 at 2:37 PM	and is filed under - Did they REALLY say that?, - My Hometown is the sweetest place I know, End Of The Road, WTF. Tagged: AL, Alabama, black, death, EJ, FAKE NEWS, Gun, Hoover, mall, man, racism, racist, Rest In Peace, RIP, Riverchase Galleria, violence. You can follow any responses to this entry through the RSS 2.0 feed. You can leave a response, or trackback from your own site.